HomeEncouragingA warm smile is the universal language of kindness. I am always amazed at the power of a smile. As I attend church, as I walk with my kids to school or kindergarten, or just go shopping, a smile has an incredible power! There are some people in the neighborhood with which I am unable to communicate because of the language barrier as they come from China. But, whenever I see them, I love smiling at them, and they always smile back! 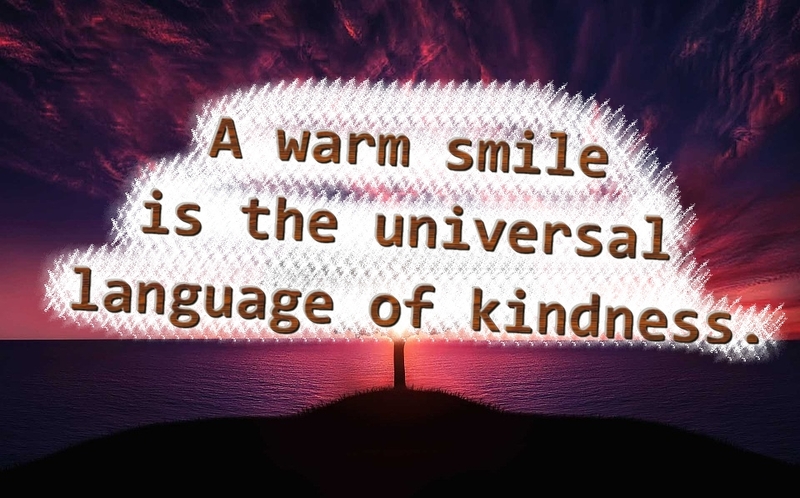 Even though we cannot speak, we are still smiling at each other, and I feel much closer to them than many of the people with whom I can communicate, but never speak a word or share a smile each day. Attending church I also enjoy smiling at people I haven’t seen before (and of course at the people I have seen many times). It is a way of appreciating them and sharing the joy and a sense of welcome with them. Who will you smile at today? Do not forget to smile at yourself whenever you have the chance, and to smile to the people around you as you do your daily tasks. A smile has the power to change, not only your own life but also the lives of the people around you.